“Coco’s corner guy died…” How rumors get started on the Internet! Anybody hear of this who can confirm? 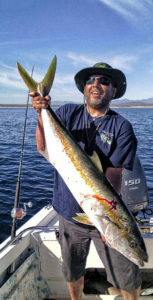 In Ensenada, solid limits of barracuda along with a few yellowtail round out the ongoing rockfish action. This is the location where most of the attention is being given for bluefin tuna hunting. The 20- to 30-pound grade is showing a little bit, mostly on sonar marks but some puddlers and kelp paddy fish are being found, too. The Flat-fall jigs continue to work well for these bluefin. 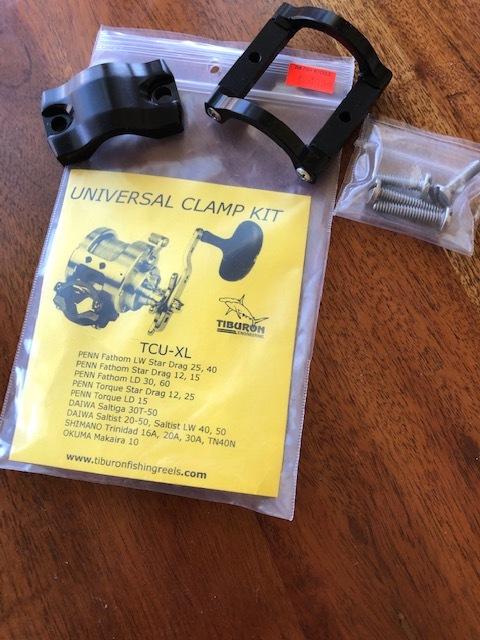 The 160- to 200- gram size is very popular. 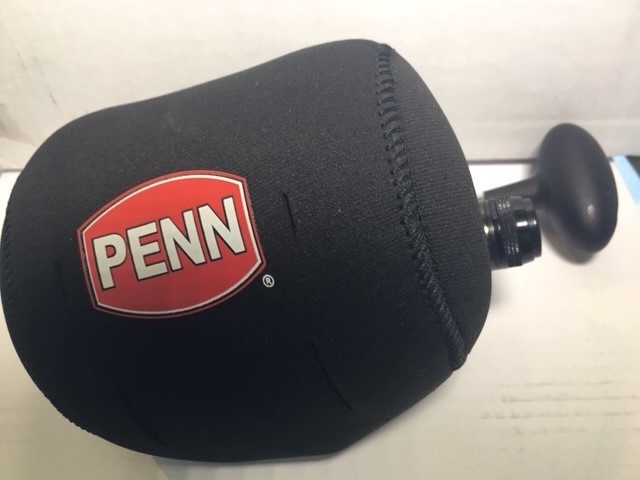 Rig these with 80- to 100-lb. fluorocarbon as the bluefin are swallowing them and the heavy fluoro helps to keep from getting chewed off. Some anglers are also doing well with the sardine fished on 20- to 25-pound fluorocarbon and a #1 or #2 hook with a 3/4oz. GLOW in the DARK slider. There are still some of those BIG bluefin around, too. Fish in the 75- to over 100-pound range are still being seen daily but just aren’t biting. 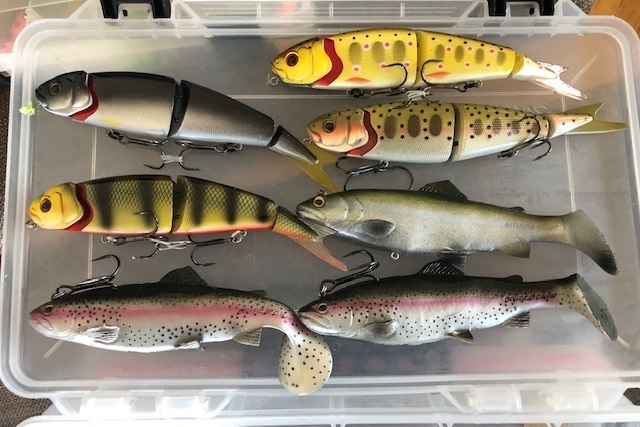 You need the heavy gear for these fish should they decide to bite so be sure to bring at least one 50- to 60-pound outfit along with you with some fluorocarbon to match. The boats are also finding a few kelp beds in the general area . . . some are holding decent numbers of 1- to 10-pound yellows, while many are dry though so you’ll just have to check them all to be sure. 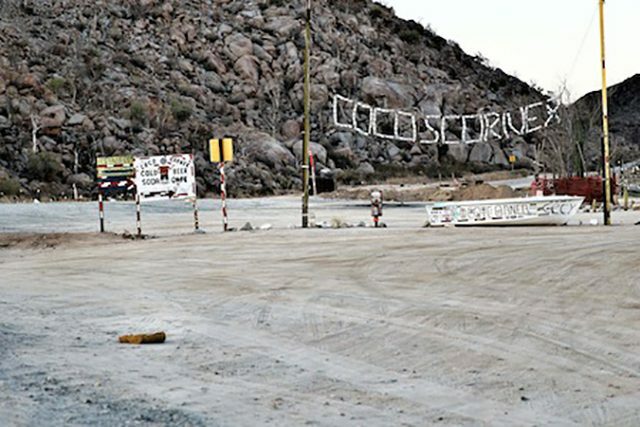 Bahia de Los Angeles is still in the doldrums. Little or no bait in the bay with windy conditions. Few birds are up and about. Pangueros are heading to Los Machos to fish grouper with several headed out to La Guardia where small yellows were found around the backside of the south end. Five days of wind so check the wind sites. Vizcaíno, Ascensión, Abreojos and La Bocana … Remains quiet. Captain Tony Davis with a nice sheepshead caught off the sea lion colony on Coronado Island on a live mackerel fished in the deep water. They may be hiding in other spots around Loreto but this zone is the only one where I have seen these caught in Loreto. It’s yellowtail season and it’s as if the water is just starting to simmer with action — just as though you were heating up some water on the stove; changes are sneaking into the picture daily. This past week’s action on the yellowtail front has seen most of the good catches made by sea lions. One out of three is the average most boats are seeing when they do hook up . . . one for the filet table and two for slippery ocean bandits! 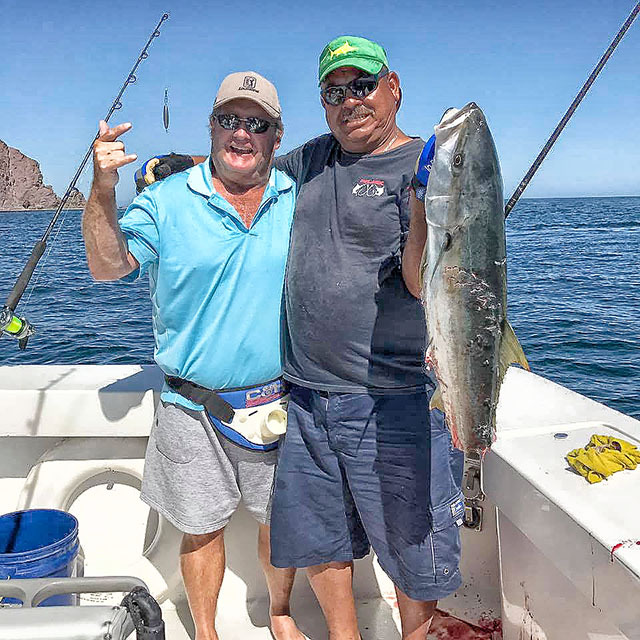 Outside of the sea lion colony on Coronado Island, the yellowtail bite has been good with what appears to be bigger than average-sized fish. Twenty-five pound yellows have been common; these are five pounds heavier than most of the other fish coming into the docks. A bunch of fat sheepshead have also been caught this week off the east side of Coronado Island. The area between the sea lion colony and “lagrimas” is the only place where I know you can find them. The best news in the bubbling waters is that the cabrilla are up and stalking lunch. Trolling hard bait along the coastal rocks has been very consistent. One cabrilla caught off the south tip of Carmen weighed in at 24 pounds. ut they are still not aggressively feeding as yet. 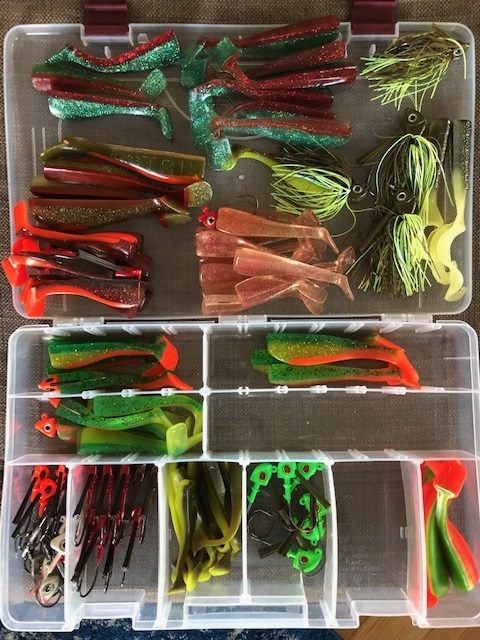 Most tailers are showing very little interest in bait tossed at them . . . give ’em another few degrees of water temperature. 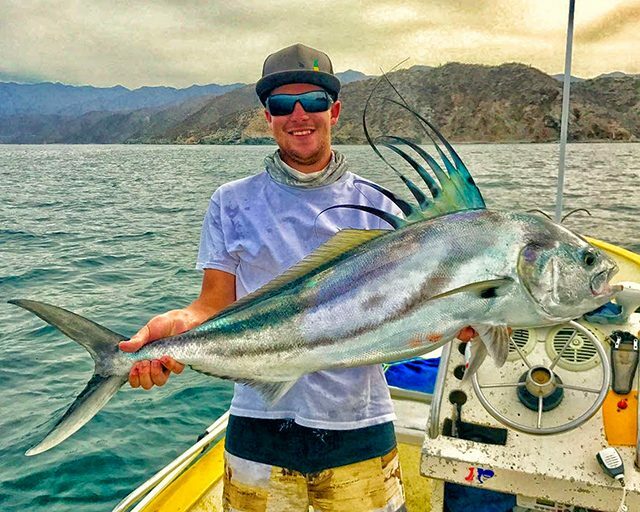 Eric Brictson, Gordo Banks Pangas, San Jose del Cabo reported higher surf conditions, that prevented bait netters from catching sardina; warmer currents, now up to 73 to 74 degrees, have brought in more caballito in the marina area. Anglers are also using some ballyhoo and squid. 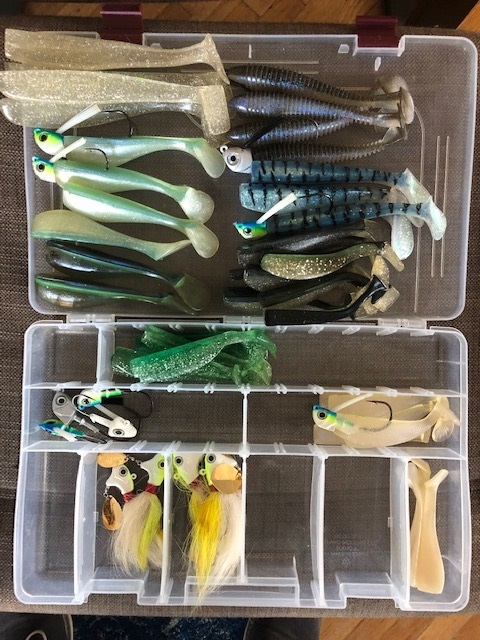 Some bottom action is being found with yo-yo jigs and the open water trolling is starting to finally produce some action. The warmer current is now closer to shore, off of San Jose Del Cabo and towards Los Frailes and offshore the water is cooler, down to 70 degrees. 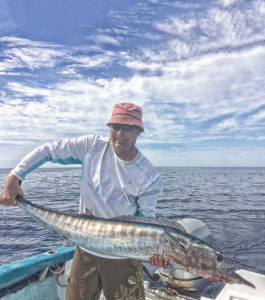 The striped marlin action improved overall this past week with on and off action trolling with lures and dropping back bait, near the 1150 Spot; also shifting north off of San Luis, it was encouraging to see some billfish activity as it had been very limited throughout winter. Now every day you are hearing about people having opportunities at marlin. Also a few reports of dorado offshore. Yellowfin tuna are striking on hoochie-type lures closer to shore near Iman Bank — smaller tuna to 15 pounds. Some yellowfin to over 30-pounds were landed from the charters that tried drift fishing over the same grounds; strips of squid is what enticed these larger tuna, though this bite was sporadic . . . one day a few fish, the next day none. 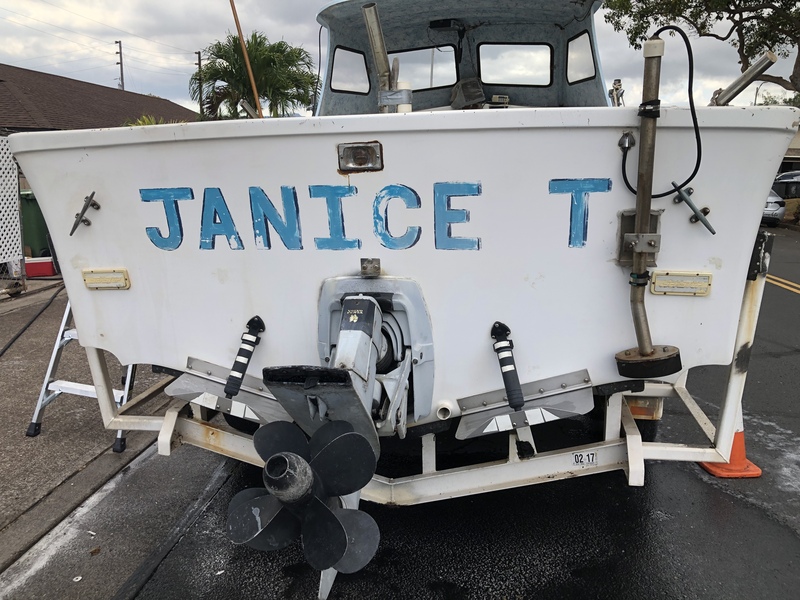 This week the action improved as the water temperatures warmed, winds laid down and cleaner currents shifted closer to shore north of Punta Gorda. The grounds from Cardon, La Fortuna, Iman and San Luis all showed better signs of surface action; wahoo weighing to over 40 pounds even became more active later in the week, striking on trolled skirted lures and Rapalas. 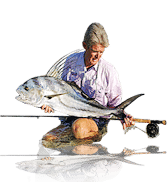 Striped marlin were hooked into and smaller grade of yellowfin tuna were striking on lures and these same grounds produced a mix of bottom species; a few more amberjack were showing up, striking on yo-yo jigs. One amber weighed in at 90 pounds and one nice yellowtail and a handful of leopard grouper were also reported. 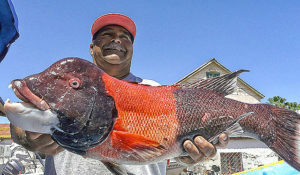 The big red snapper bite on the Outer Gordo Banks faded out, as the unusual run of larger crabs diminished. 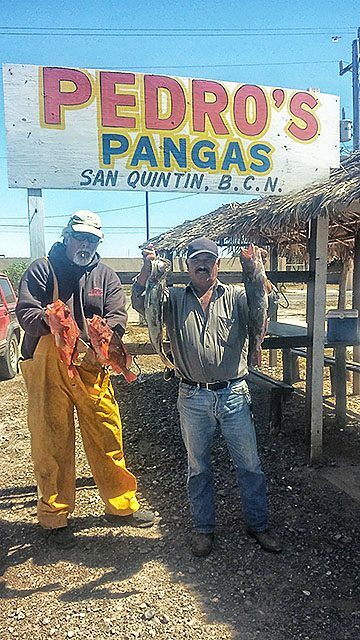 The commercial fleet has been importing the smaller pelagic red crabs for use as bait for the snapper, though when the bigger crabs were drifting to the surface, those are what really produced the larger grade of red snapper, locally referred to as huachinango. In spite of an increase in the wind this week, the billfish action improved both at the 1150 and 95 as the dorado and yellowfin tuna continued at a slow pace. 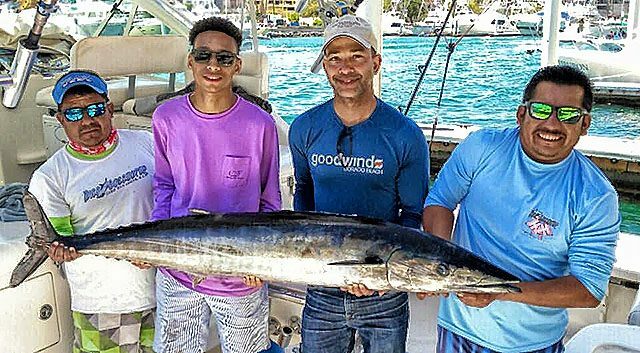 One bright spot has been the continued wahoo bite that always seems to please visiting anglers. Still a few roosters around along with some good action for grouper and snapper on some of the rocky points. 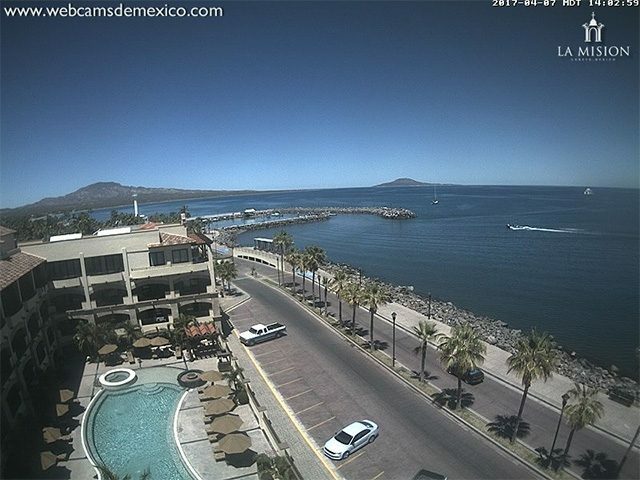 Cabo Climate: About a 50/50 week with some partly cloudy and some sunny and warm days along with daytime temps averaging 83.8 degrees and nights 68.6. Humidity ratio is at 36.2% average. Sea Conditions: Surface breezes flowing mostly from the westerly directions and average 11.4 mph. Sea temps cooler on the Pacific side, Golden Gate Bank and southerly to the Jaime Banks . . . all at 65 to 66 degrees. Cabo Falso easterly to Cabo San Lucas at 70 to 72 degrees, the 95 Fathom Spot and over to the 1150 Fathom Spot all at 71 to 72 degrees and the Gorda Banks and up to Los Frailes all at 73 degrees. Best Fishing Area: The hot spot has been about 3 miles east of the 1150 Fathom Spot. 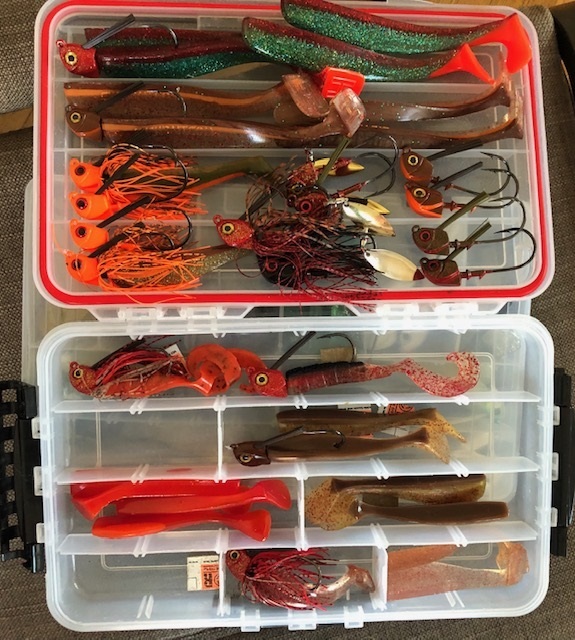 Best Bait/Lure: Rigged bait is working best in conjunction with live bait and a fair number of strikes on the artificials but very hard to get the stripers to stick on the hooks. 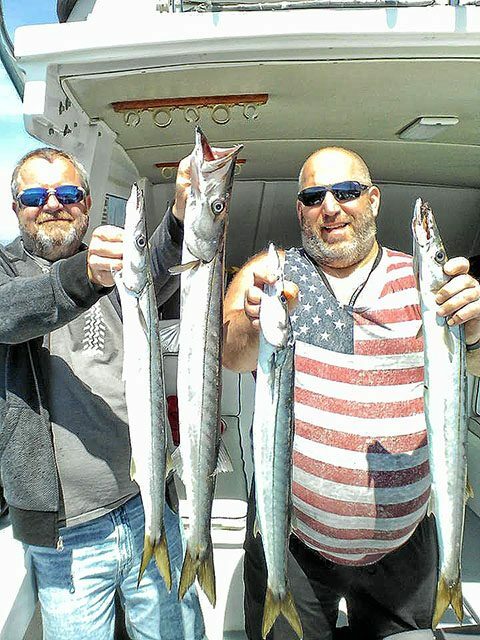 Bait Supply: The bait supply remains plentiful for the caballito at the $3.00 per bait rate…Larry Edwards, Cortez Charters.